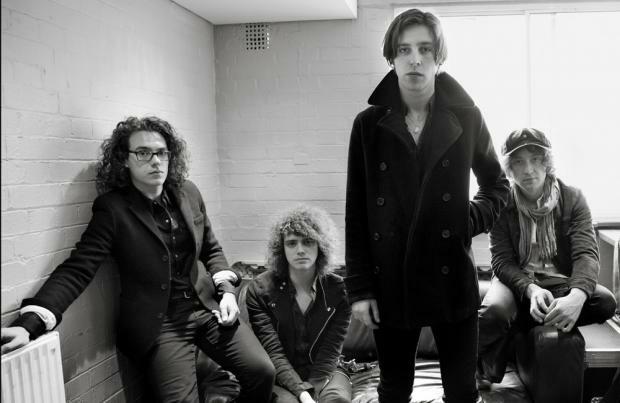 Catfish and the Bottlemen, Zara Larsson and The Vamps have joined the line-up for the Isle of Wight Festival. The 'Twice' hitmakers, 'I Would Like' pop beauty and the 'All Night' boyband - comprised of Brad Simpson, James McVey, Connor Ball and Tristan Evans - will perform along with Clean Bandit and The Amazons and more at the music extravaganza held at Seaclose Park in Newport, Isle of Wight between June 18 and June 11. The festival's organiser John Giddings said: "We've always supported fresh, new and exciting talent at the at the Isle of Wight Festival. It's what music festivals are all about. We had Blossoms in 2015 and they've just been nominated for a BRIT award! Looking forward to seeing what the Isle of Wight 2017's talents have in store for us!" Zara, 19, said: "So excited to play the Isle of Wight Festival! UK festivals are always so much fun! You guys always bring 100%." Brad, 21, from The Vamps added: "We all can't wait to play the Isle of Wight Festival! We love playing festivals!" The new additions follow the announcement of Kaiser Chiefs, Texas, The Shires, Example, Jonas Blue, Nothing But Thieves, The Sherlocks, Ward Thomas, The Undertones, The Alarm and Elle Exxe joining headliners Sir Rod Stewart, Arcade Fire and Run-DMC.